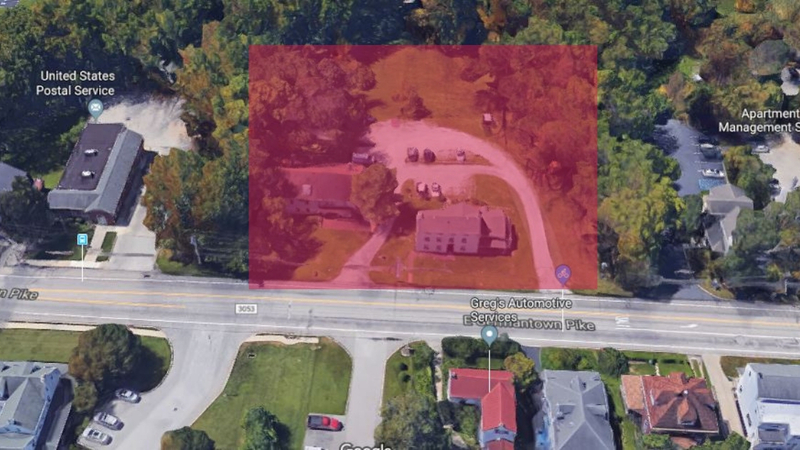 ZHB#2019-06: 14 E. Germantown, LLC, 14 E. Germantown Pike, Plymouth Meeting, PA; Parcel #65-00-04741-00-9 & 65-00-04735-00-6; Block 028; Units 010 & 017; VC-2 Village Commercial Sub-district 2; Plymouth Meeting Historic District Overlay. The two subject properties combined are located in the VC-2 (Village Commercial) Zoning District and are approximately 2.7+ acres located adjacent to the Plymouth Meeting Post Office on Germantown Pike. Existing is a house with apartments and barn with apartments. Applicant proposes to demolish the barn and construct twenty-one (21) townhouses which are permitted by conditional use. The applicant is requesting a Variance from §116-.291.B. (3) which limits the length of a building to not exceed 120 feet. Applicant is proposing units 1-5 in a single building of 135 feet in length; a Variance from §116-291.C. which requires the buffer to be width of the required rear yard setback; for units 16-21, the buffer would be 20 feet wide; a Variance from §116-292.A., Shared Driveway and/or Parking as required for a conditional use. (Applicant sought permission from the adjacent property owners to have shared parking but was denied. ); a Variance from §116-295. (front yard setback). For properties 2-5 acres, the front yard requirement is that a minimum of 40% and a maximum of 80% of the building facades be located 10 ft. from the ultimate right-of-way; and a Variance from §116-295. (rear yard setback). For properties 2-5 acres that are adjacent to a residential zoned property, the required rear yard setback is 35 ft. 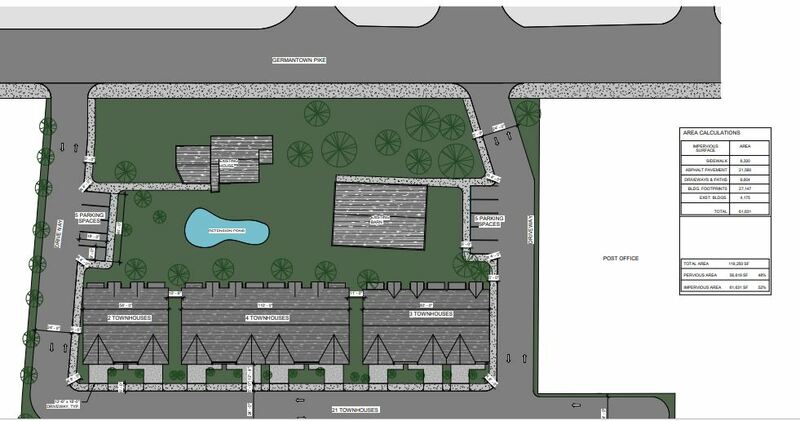 Applicant proposes a rear yard setback of 20 ft. for units 16 – 21. 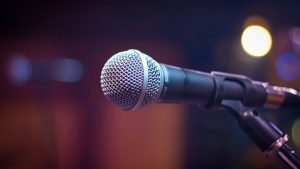 The meeting will be held at the Whitemarsh Township Building.